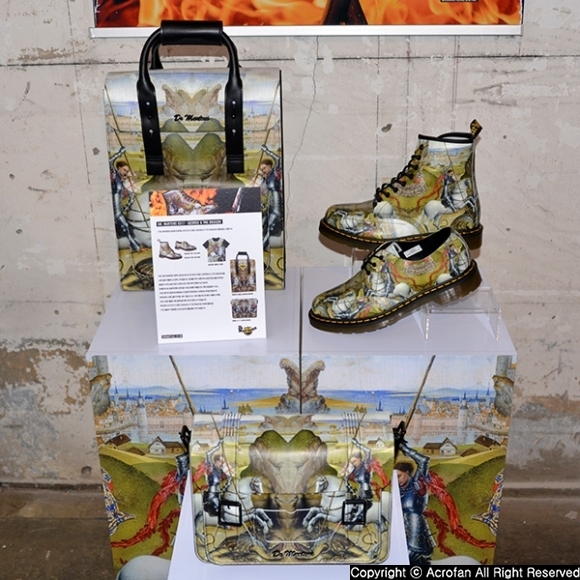 British fashion brand Dr. Martens held 'Dr. 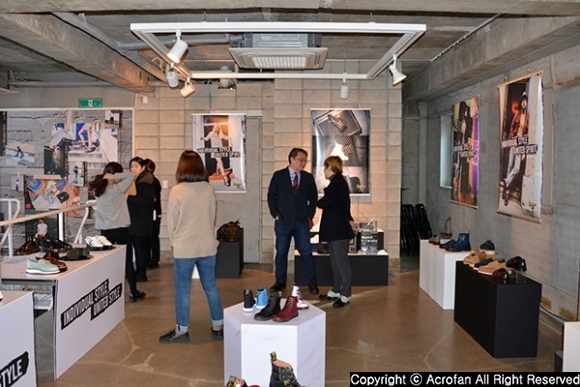 Martens 2017 SS Press Day' on January 24. The event presented major product lines to be showcased during the spring and summer of 2017, attracting industry and media stakeholders. 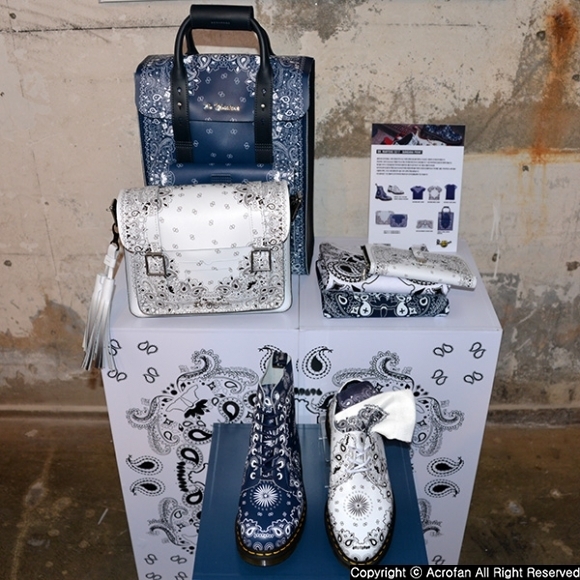 This event, held at 'Shinsajang' in Jamwon-dong, Seocho-gu, Seoul, was characterized by the spread of 'DM's Lite' series products that were first introduced at '2016 AW Collection' held on July 28 last year. The main feature of new 2017 spring/summer season products is to spread the lightening, a strength of 'DM's Lite' which has been supplied to the market since last September, as well as updating the product line with its original characteristics. 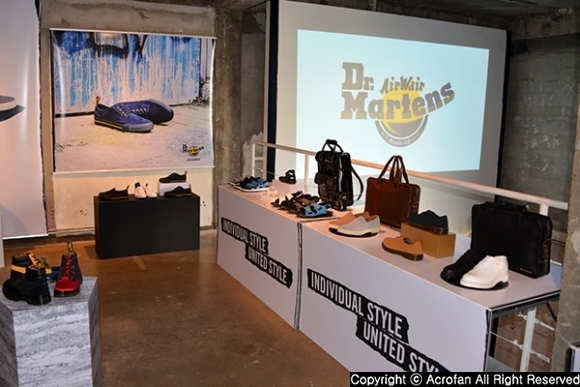 Meanwhile, all the products that Dr. Martens presented at 2017 SS Press Day will be on sale through Dr. Martens stores and online, and details can be found on the official homepage, Facebook and Instagram. 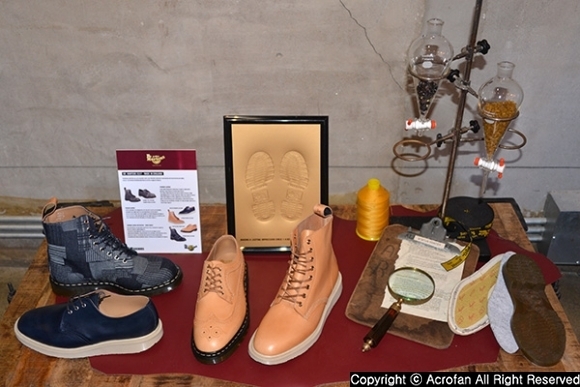 ▲ On the second floor of 'Shinsajang' building, we were able to meet a lot of updated new products. 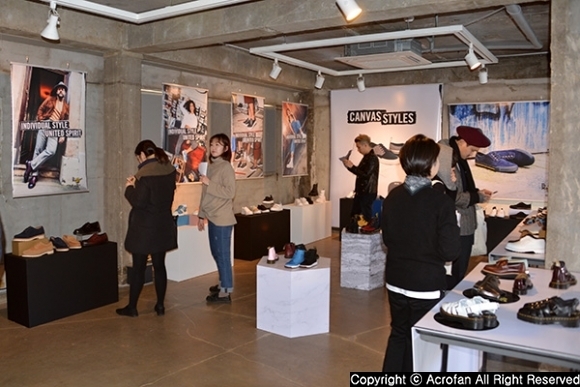 ▲ Industry and media officials visited in the afternoon to look at new products from Dr. Martens. 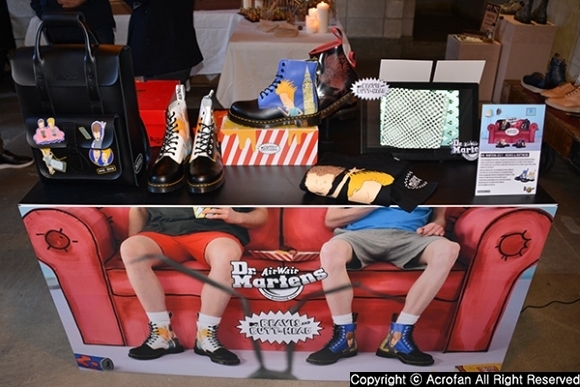 ▲ Apart from shoes, which are Dr. Martens representative products, bags and related accessories attracted attention. As 2017 spring/summer new products, three kinds of coloring such as 'PAINT SPLATTER', 'BANDANA PRINT', and 'GEORGE & THE DRAGON' led as representatives. 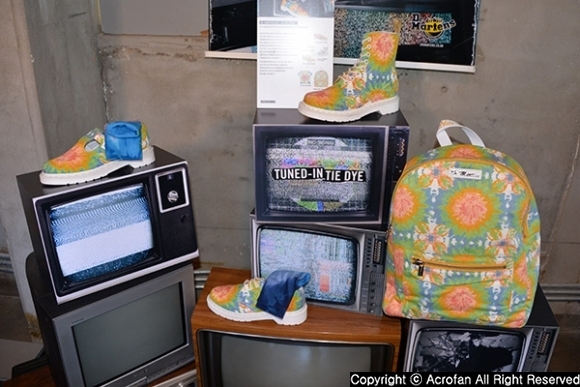 Moreover, 'TIE DYE PRINT' was introduced as a new product that adds lightness. 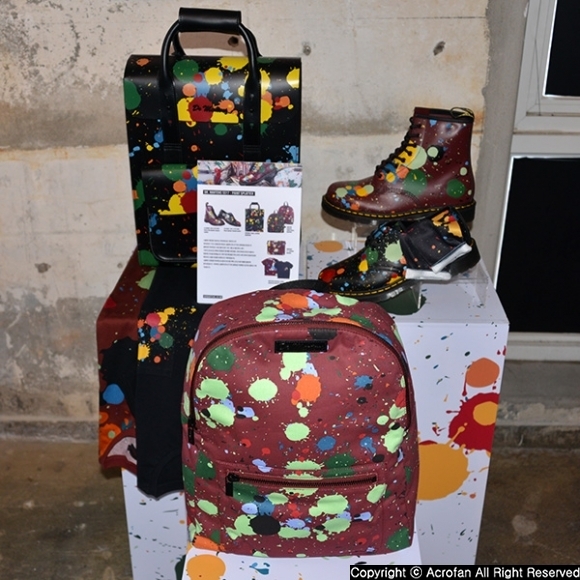 These products emphasize colorful colors and vividness through collaborations with designers. 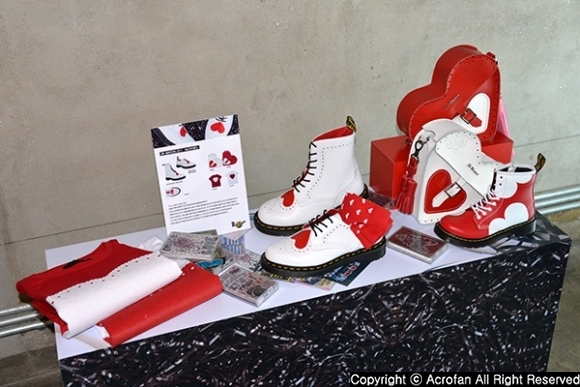 On top of that, 'VALENTINES' was exhibited as a special product for spring season. Following 'Cartoon Network' last year, 'BEAVIS&BUTTHEAD' edition was presented for collaboration with MTV this year. The new 'MADE IN ENGLAND' series, which will be exhibited at all events, include TUSCON LEATHER, BORO FABRIC, STINGRAY LEATHER, etc. 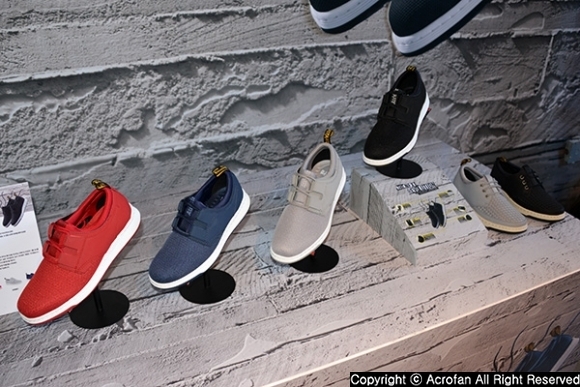 Meanwhile, as products of 'DM's LITE' series, the products with the concept of 'THE NEXT REVOLUTION' are newly appeared and attracted attention. 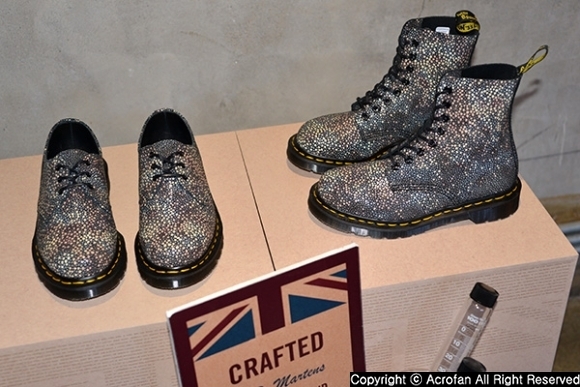 They are featured by a combination of mesh and sneakers style to 'DM'S LITE,' the lightest shoes of Dr. Martens. If you are looking for a walking style of stylish urban type, check it out.